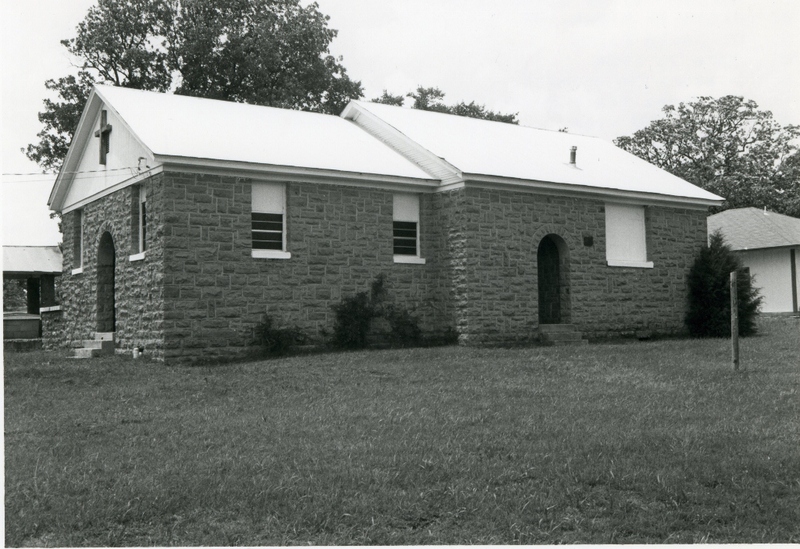 Originally a two-room building, the old Harper Valley school is a single story, rectangular (56′ x 27′) structure with an offset constructed of rusticated and coursed native sandstone. Covered with composition shingles, the roof is gabled with one step; two of three doors are recessed behind archways. Window openings with concrete sills have been reduced in size with wood inserts, which enclose metal sash windows. These alterations and an adjacent but unattached building do not impeach the integrity of the structure. 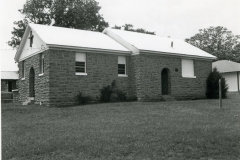 The school building represented the genesis of modern education in the valley, replacing deteriorated and outdated wood facilities. Architecturally the building is unique in the community because of its type, style, scale, materials and workmanship. 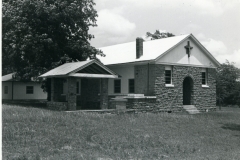 It continues to be well maintained, and as a church meeting house is an escellent example of adaptive reuse. Significantly, construction of the school building provided work opportunities for laborers hard hit by the depression in the rural and remote Harper Valley area, providing some economic security and self esteem. VERBAL BOUNDARY DESCRIPTION: Follow the county road that runs west from Kiowa four and one-half miles, bearing south (left) at the Y and continuing for three-fourths of an additional mile to the school property on the west side of the road. It begins at a point 60 feet south of the NE corner of the SE 1/4 of Sec. 24, T 3 N, R 12 E, and runs west 420 feet, south 150 feet, east 420 feet, and north 150 feet.